Graduation celebrations are right around the corner! While a check or gift card is always appreciated by high school and college grads, these gifts offer something a little more fun to unpack. Plus, you can feel good about these gifts because they are are high-quality, eco-friendly, ethically manufactured (all #MadeinUSA) and can be enjoyed for years to come. If your grad is headed to a dorm or first apartment, also check out my picks for affordable, Made in America art prints. *Yes, I’ve split up these gift ideas by gender, but there are obviously crossovers. Lots of college-bound guys I know would love a travel mug or cookbook, and some ladies would flip for a home state tee or catch-all tray. 1. Classic tote bag. Whether the new grad is starting a job (or job hunting) or pursuing a degree, a classic, roomy tote will always be useful. Splurge on this Gigi Embossed Leather “Teddie” Tote (made in NY!). With chic monogram options and a variety of colors, you can find a tote to fit any style. Not sure of her favorite color? Go with something basic (but fabulous) like black or gray. 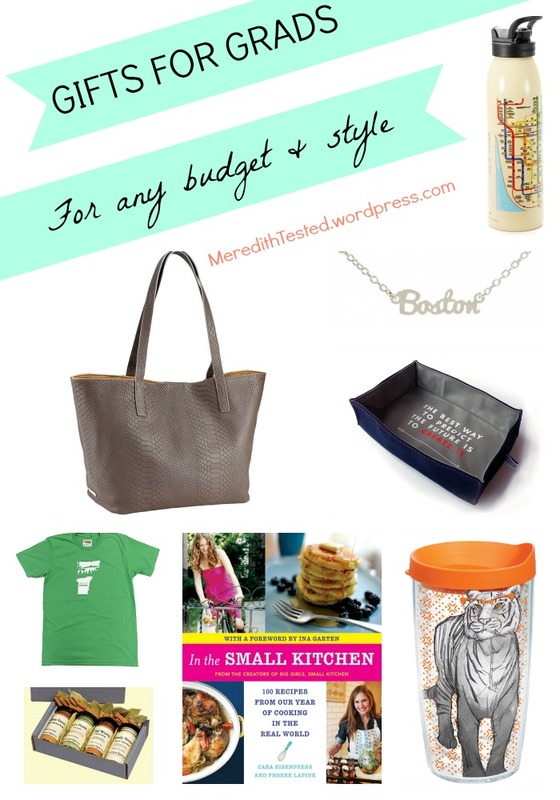 A more affordable everyday-tote option is the Market bag from Moop (made in PA, USA). 2. Travel mug. Starting school or starting a new job will have new grads constantly on the go. A portable cup for coffee or tea will always be appreciated. 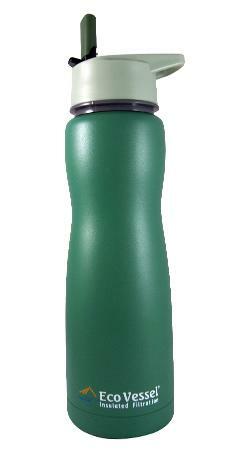 Tervis mugs offer style and substance. 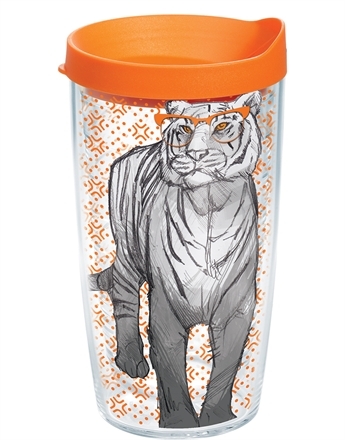 I love this tiger wearing glasses design. Make the gift extra special by adding a pound of your favorite fair trade beans (in Burlington, VT I always go for Speeder & Earls). 3. A beginner cookbook. Cooking on your own can seem daunting – even if you’ve cooked with family for years. 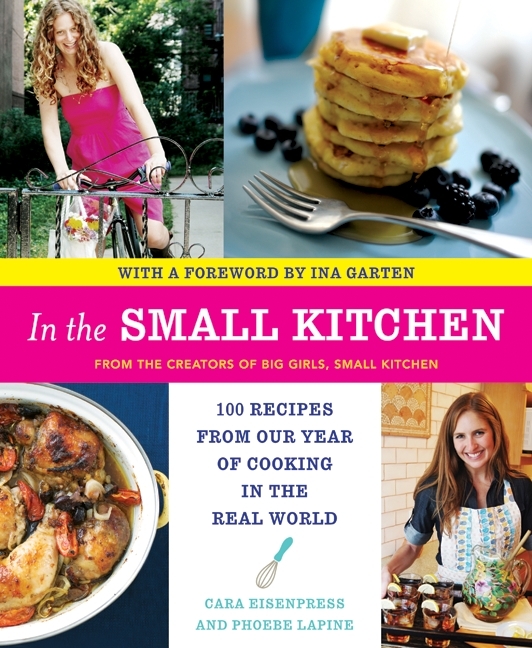 Give them a boost in the right direction with a cookbook full of healthy, simple meals. In the Small Kitchen or How to Cook Everything: The Basics are good, safe picks. Or, if you know s/he has a special diet (no gluten, vegetarian, etc.) ask your local bookseller or do an internet search for top sellers in that category. Make sure you flip through the book before you gift, though, to make sure the recipes don’t call for too many ingredients or expensive/hard-to-find items. I also found this list from CBS for cookbooks for beginner/college cooks. 4. Necklace. 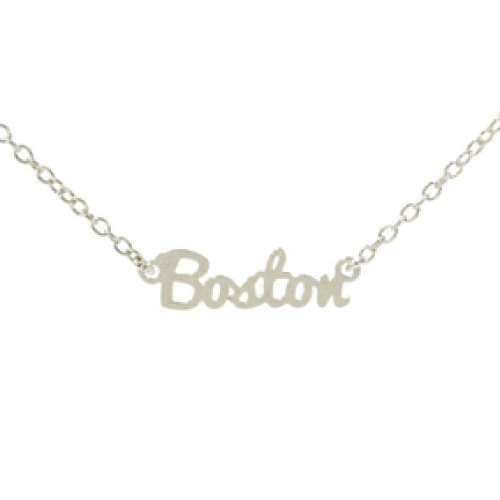 Remind her of home with a necklace calling out her home city or state. Necklaces by Kris Nations definitely make a statement but are delicate enough for everyday wear. 1. Spice set. Even if the grad’s culinary prowess is limited, these spice sets from Penzey’s Spices add flavor and kick to the simplest of dishes. Eating out can be convenient when you’re living on your own, but eventually the $$$ adds up and cooking at home becomes a necessity. Help stretch his grocery dollar! Pick spices you know he’ll use – from spicy to international. If you live near one of their stores, head in for the lovely smells and knowledgeable staff. 2. Portable hydration. Staying hydrated is key to tackling the day. A built-in filter in this Eco Vessel water bottle means grabbing a drink can be delicious and easy even if all you have access to is a questionable water fountain. Another great brand to check out? Liberty Bottle works makes all of their fun bottles in the USA. 3. Home state tee. 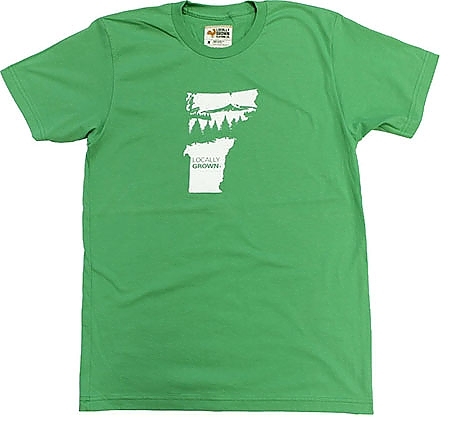 Even if he’s sticking around, let him showcase his home state pride with a tee from Locally Grown. They have lots of colors and styles to choose from. Even if he has to wear a suit at school or work, clean t-shirts for lounging or the gym are always appreciated.